Okay, so coming to the third letter of the month. 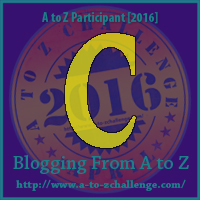 I found many words with C which was not the case for letters A and B. There are some even I could relate to and this is super exciting. This word is used to describe someone who acts outside of the social norms or seems to have stalker tendencies.